More Products Coming Soon!! - Contact info@stratech.co.uk for pricing, quotes or general product enquiries. Founded by scientists, for scientists, we at GeneTex understand that researchers expect and demand product performance and fidelity. With GeneTex’s Knockout/Knockdown validation project, we’re committed to demonstrating to our customers that the products they are purchasing are completely reliable, every single time. At GeneTex, we continue to provide the research community with the highest quality and most stringently validated antibodies by utilizing CRISPR/Cas9- and shRNA-generated cell lysates for our western blot assays. To date, we have evaluated most of our featured products and will continue to expand these efforts throughout our entire antibody catalogue. GeneTex primary antibodies have been tested through the use of various analytic strategies to ensure persistent quality and confirm antibody specificity. 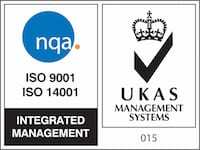 Based on the guidelines described by the International Working Group on Antibody Validation (IWGAV), GeneTex has been employing multiple approaches to certify antibody performance in our quality assurance process. Monoclonal antibodies are produced by immortal hybridoma cells created from the fusion of antibody-producing splenic B-cells and myeloma cells, or by recombinant protein expression in mammalian cells. These antibodies have monovalent affinity and bind to a single epitope on the antigen. Purification is commonly accomplished through Protein A/G/L affinity chromatography. 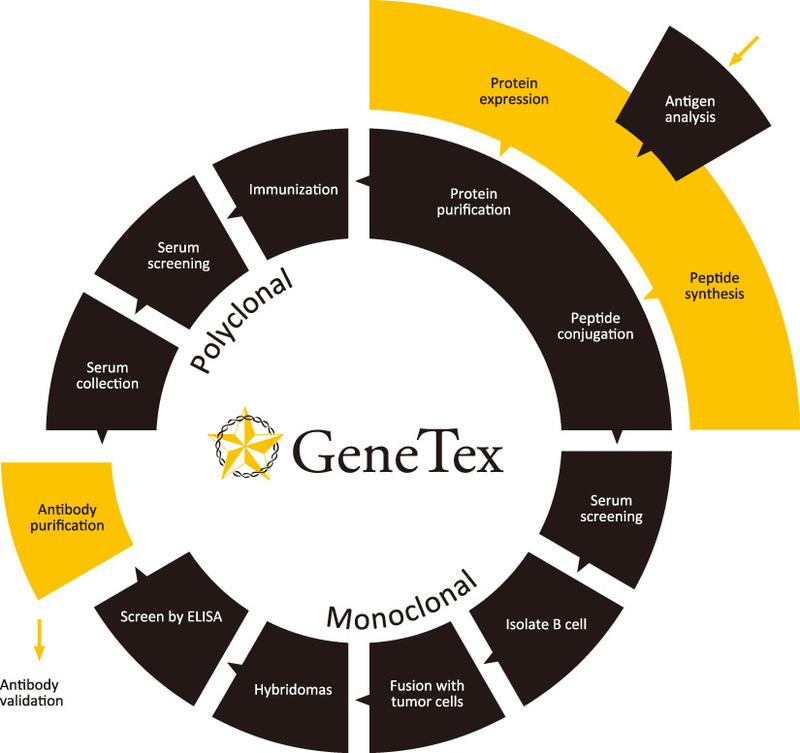 GeneTex offers a broad selection of monoclonal antibodies directed against the majority of key targets/proteins in the spectrum of biomedical research.